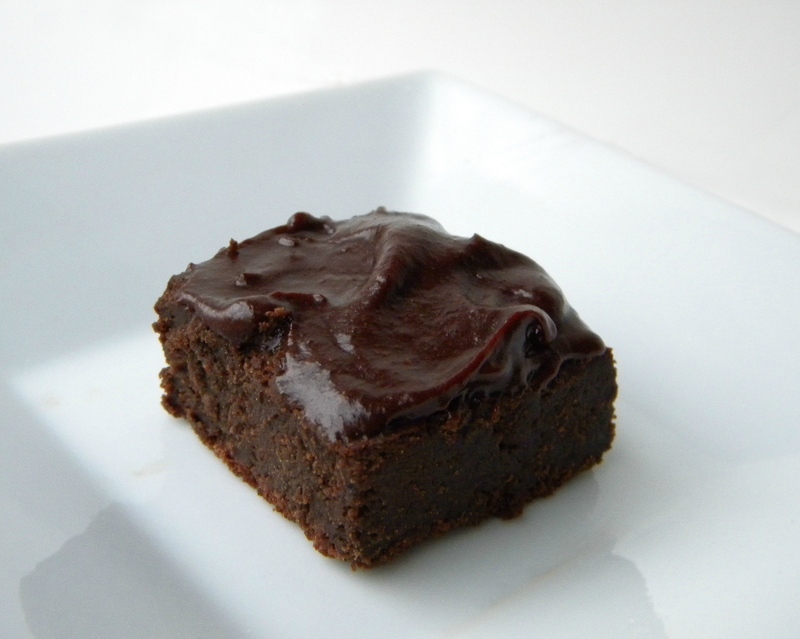 This "buttercream" frosting has no butter or cream, yet it tastes like a chocolate fudge dream. So what's the mystery ingredient to this frosting? It's one that vegans and vegetarians may have guessed by now...avocado. 1. 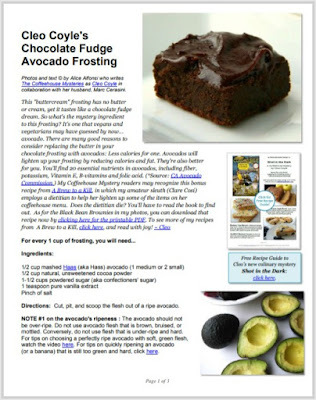 Less calories: Avocados will lighten up your frosting by reducing calories. 2 tablespoons of avocado flesh is 50 calories compared to 200 calories for the same amount of butter. 2. Less fat: 3.5 oz. serving of butter contains 81 g of fat while the same serving of avocado contains 14.66 g of fat. 3. 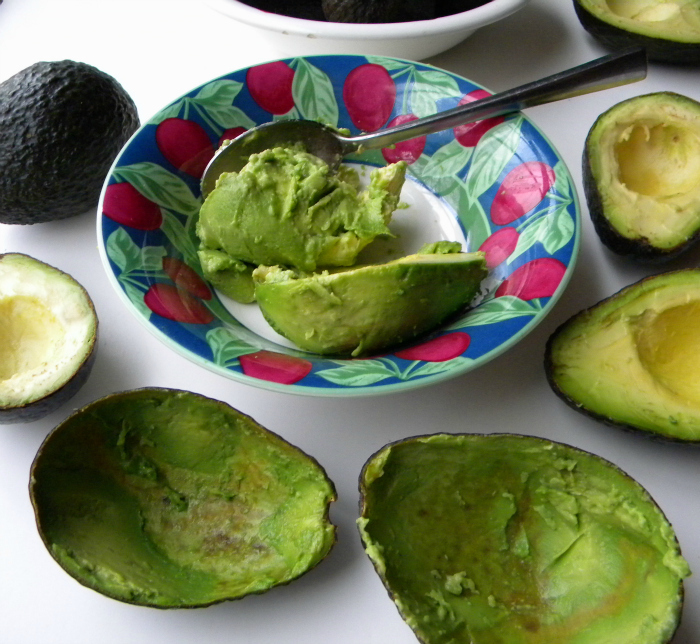 Better fat: Avocados will replace unhealthy animal fat with healthy vegetable fat. 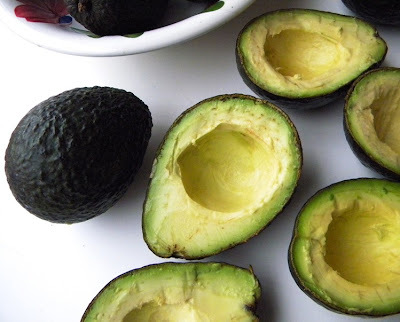 Avocados contain heart-healthy monounsaturated fat. This kind of fat can lower LDL (bad) cholesterol and maintain HDL (good) cholesterol, while decreasing belly fat. 4. Better for you: You'll find 20 essential nutrients in avocados, including fiber, potassium, Vitamin E, B-vitamins and folic acid. 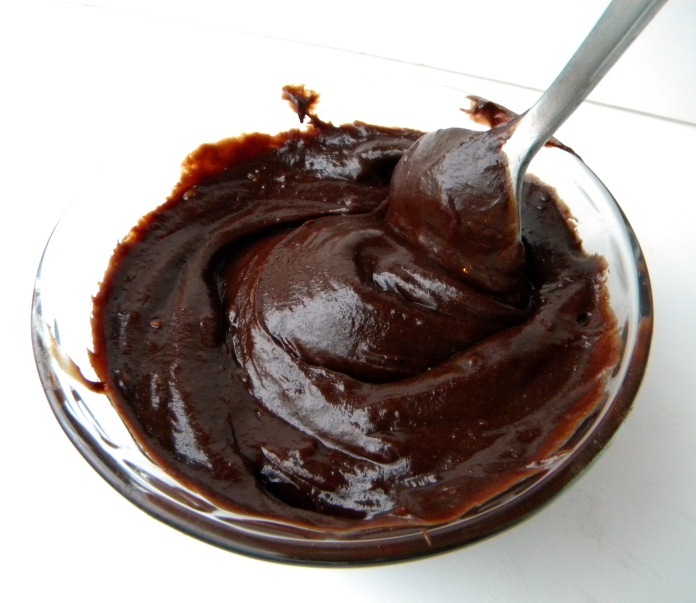 Finally, my Coffeehouse Mystery readers may recognize this recipe from my culinary mystery A Brew to a Kill, in which my amateur sleuth employs a dietitian to help her lighten up some of the items on her coffeehouse menu. Does the dietitian die? You'll have to read the book to find out. 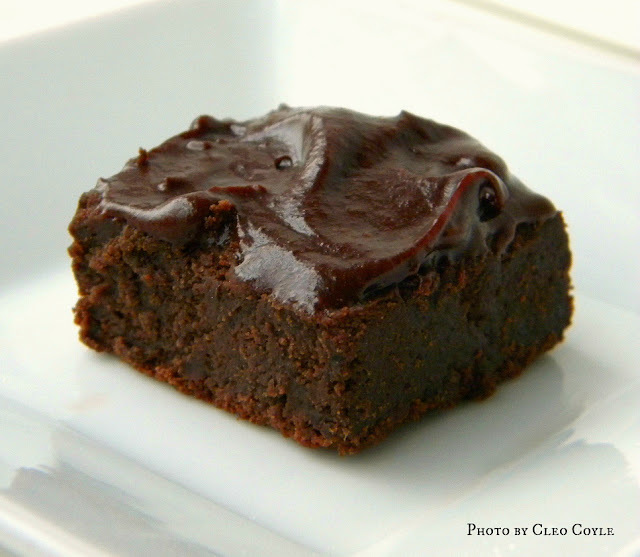 As for the brownies in my photos, they are gluten-free FLOURLESS CHCOLATE BROWNIES (no flour, no butter, just chocolate fudgy goodness). 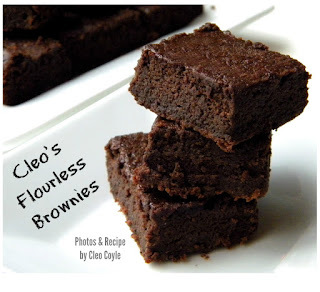 Get the recipe with a free, downloadable PDF by clicking here. 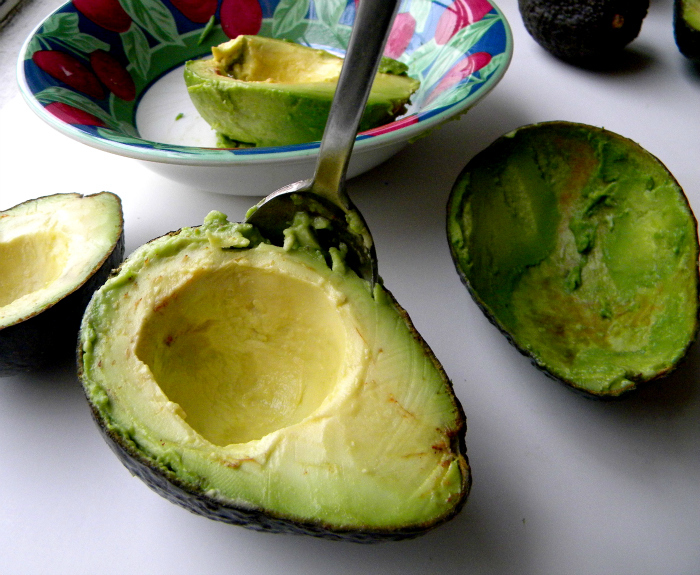 Directions: Cut, pit, and scoop the flesh out of a ripe avocado. cutting open, pitting, and slicing an avocado? 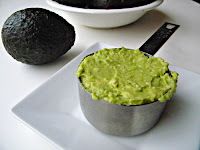 Mash the avocado with a fork or puree it in a blender or food processor until the flesh is completely smooth and without even small chunks or lumps. It's important to be sure you've pureed it well. You'll need 1/2 cup of this so measure it out. If it comes up short, your avocado was too small and you'll need to process another. Place the 1/2 cup avocado, 1/2 cup cocoa powder, 1-1/2 cups powdered sugar, 1 teaspoon pure vanilla extract, and pinch of salt into a bowl. 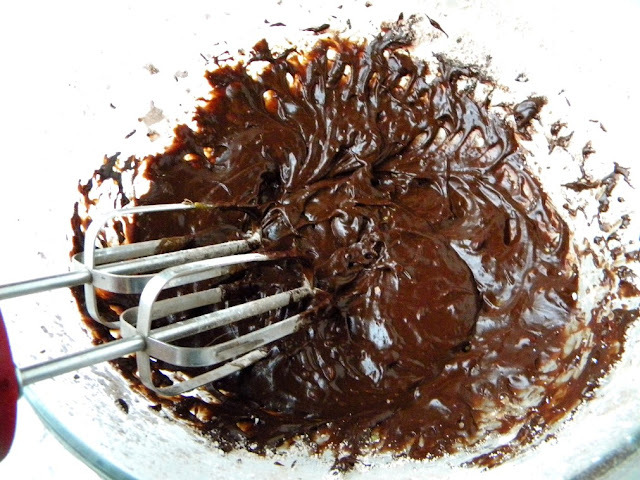 Using an electric mixer, beat the ingredients. 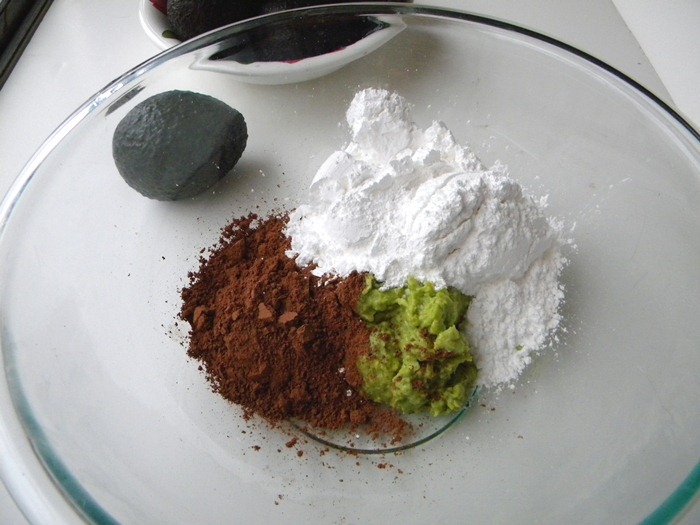 At first, the mixture will seem very dry and powdery but continue beating the ingredients. DO NOT ADD LIQUID. As you beat the mixture, the avocado will penetrate and moisten the dry ingredients until, almost magically, a silky smooth chocolate frosting forms. NOTE #2: If you live in a very dry climate, and the frosting is too dry after a reasonable amount of beating, then add a very small amount of liquid (1 teaspoon at a time). What liquid you use is your choice--try coffee or milk (to keep it dairy-free use almond milk) OR you can add a touch more vanilla and even complement the vanilla by using another extract such as almond, hazelnut or rum. * Q. Will I taste avocado? A. No. This is a delicious, chocolate fudge frosting that closely resembles chocolate buttercream in flavor and texture. 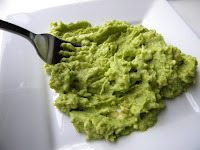 If you properly puree the avocado making sure there are absolutely no clumps or lumps and follow the recipe directions, you will not taste avocado. * Q. Can I use another kind of avocado? A. I would not. I use Hass avocados because they are richer and creamer than Florida avocados. I'd stick with Hass. Q. 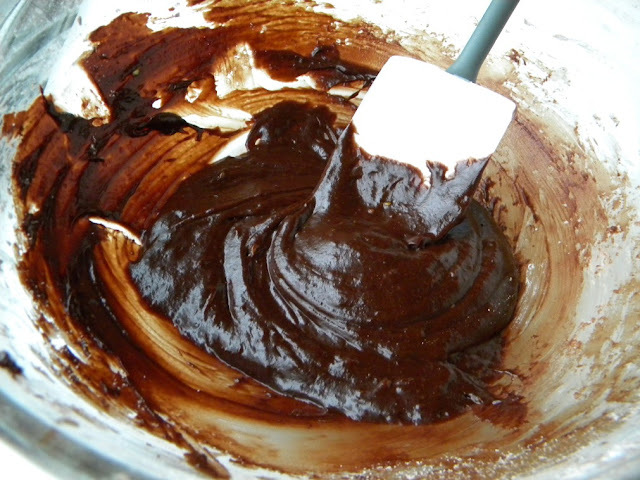 How much frosting will I need for my cakes, cupcakes, brownies? - the top of a 13 x 9-inch sheet cake. To frost a 2-layer cake, I would double or even triple this recipe (because I hate to get stuck with less frosting than I need). Q. 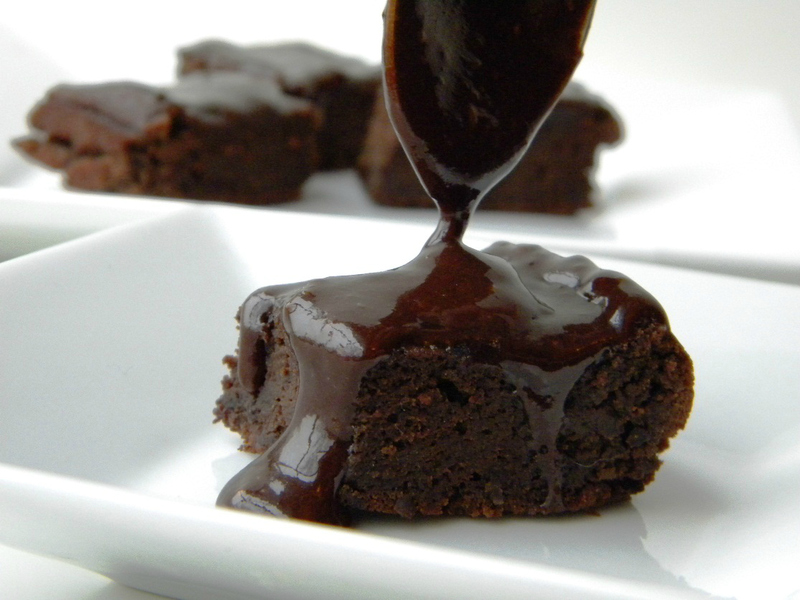 Can I make a glaze instead of a frosting?